material in many facets of their little worlds. “Hey! Young World” Media, Co. c/o Beat Brokerz Entertainment,Inc. A vision was transformed into an actual reality with the creation of Hey Young World books that were developed by: Kareem & Portiay Nash & Tribeca whom hail from the Bronx. The books, which at their core are derived from hip- hop music. These books are converted into educational songs. 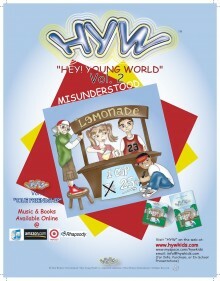 The Hey Young World books were inspired by the mis-education of young urban youth. 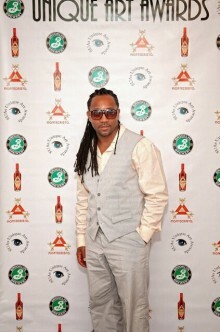 Mr. Nash expressed that some hip- hop music emphasizes the mindless rhetoric that is dumbing down the minds of the young. Children are exposed to musical lyrics and images that emphasize drug-dealing, sagging pants and other negative stereotypes Kareem along with his brother felt that it was time to give children a voice in efforts to rise above the negativity to which they are bombarded with in our society. The Hey Young World books are audio book, which provide children with an interactive experience. The lyrics in the books highlight the importance of correct grammar and good diction. The dialogue also include dance and song, which discuss complex issues that children encounter like bulling, discussing issues with parents and times of crisis. Portiay the second of the duo creates the musical beats that can be comprised with a Da La Soul melody would with be updated with a new and improved style, in order to relate to the musicality that the youth of today would find interesting. The Hey Young World books are designed for children that range in ages from four-eleven years old. Kareem also discussed that the parents as well as teachers raved about how the books have opened the children’s minds to learning in a new and imaginative way. He is constantly receiving fan letters from parents and children on how beneficial the books have been. The Hey World team has even traveled within the tri-state areas to charter school to promote and distribute the book. They are currently in works with the Promise school in Harlem to have the books more infused within the curriculum. The books are also being used by teachers in the curriculum to invoke conscious and compelling thought amount the youth. Core values are presented in the books such as morality, dignity, and loyalty these elements are sometimes missing from society. Children began to devalue those essential values Hey Young World books portray scenarios which not only define but accentuate these elements. The books are a platform for many other ventures in the future. The Hey Young World team plans on creating books for kids past the age of eleven; as well as delving into the world of arts such as: movies/plays, music, graphic production, visual production and forming a book club. In other future endeavors the team would envision taking inner city children on trips out of state to Washington DC to visit the White House, farms, museums etc for their further development and growth. Maya Angelou once wrote, “ I’ve learned that people will forget what you said, people will forget what you did, but people will never forget how you made them feel.” The Hey Young World team has made this exact mark in the lives of the young people they serve. 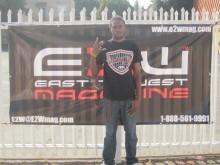 Upryze “Tyron Hill” hails from Inglewood California where he is an aspiring up and coming producer. From a young age Upryze always had a urging to create and produce music. Where are you from and what inspired you to create music? 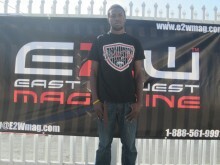 Upryze “Tyron Hill” hails from Inglewood California where he is an aspiring up and coming producer. From a young age Upryze always had a urging to create and produce music. He recalls when his aunt would listen to an array of musical styles which included jazz, r&b and the blues these sounds fascinated the impressionable mind of Upryze. At first he pursued rapping specifically free styling as means of projecting his frustrations. As time progressed, he became immersed in the street life in Inglewood smoking drinking and gangbanging. The tides started to shift in his favor once he entered high school, his love of music grew; in addition to influence of his music production teacher Mr. Fuller. The street life would distract him from his true aspiration. Upryze would start his musical endeavors in the basement formulating beats and writing verses. What kind of music do you produce? Currently Upryze produces hip-hop and r&b music with future aspirations to venture into the world of trans music/electronica. Upryze musical influences range from Kendrick Lamar , Jay Z. Lupe Fiasco, Immortal Technique and Indie Irie . All of these artists convey a message which translates to different audiences. Kendirck offers a lifestyle of complexity and struggle while maturing in the streets of Compton. Lupe Fiasco projects uniqueness by taking an issue and transforming to tangible to the community. India Irie interprets conscious messages of acceptance and mutual respect amongst African Americans. Immortal Technique an underground rapper dissects the political spectrum in an honest and intelligent way. Last but not least Jay-Z the consummate hustler whom has an excellent marking and business outlook that is not only envied but admired. Where are you at in your career? 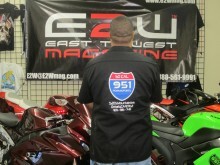 THIS MOTORCYCLE SHOP IS ONE OF THE MOST EXCITING STORES IN THE BUSINESS. “951 POWERSPORTS”, IS THE PERFECT NAME FOR THE COLLECTION OF POWER MOTORCYLES AND PERFORMANCE SHOWPIECES ON DISPLAY. Michael N. Dickerson a national of Trinidad and Tobago, Executive Director of DICKERSONS HURBZ R US LTD., Certified Consultant by the Diabetes Resource Center, Inc. and the Center for Nutritional Medicine, Georgia, USA. Specialized in the promotion of natural and organic products through his radio programme ‘Health Talk With Big Mike’ on 106.5fm and 91.9fm and to date has helped improve the health and lifesytle of thousands of listeners throughout Trinidad & Tobago, the region and internationally. A highly sought after natural health consultant, whose vision it is to establish a network of healthy lifestyles by stimulating humans in their God given potential to not only achieve, but to maintain health to its crest through nutrition and natural remedies. Everyone should be aware, that there are benefits of hand washing, as a primary step in disease prevention. Hand washing as a 1st step in disease prevention should never be taken lightly. There is a chain of command in disease prevention, and if those steps are followed, the chance of the spread of most communicable diseases is eliminated.